Every year Project Watershed bestows an array of Keeping It Living Awards to a deserving group and chosen artists. These awards are part of a campaign created to promote community knowledge of and pride in the K’omoks Estuary. One such award is the Keeping It Living Award, a merit based award that recognises an organisation, group or business exhibiting leadership in protecting and restoring the K’omoks Estuary. 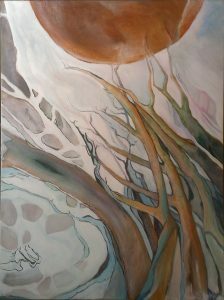 The other awards – People’s Choice, Artist’s Choice and Keeping It Living’s Choice – go to artists from their winning submissions to the Keeping It Living Campaign’s Art Competition. You are invited to come out to acknowledge and celebrate these awards as they are presented at the Swan Festival in the K’omoks First Nations Hall 12 noon Saturday November 23rd. 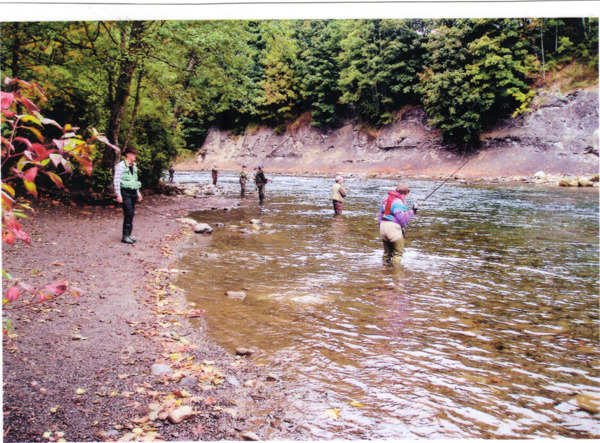 This year the Estuary Working Group and Project Watershed will be bestowing the 2013-14 Keeping It Living Award on the Comox Valley Naturalists. In making this Award, we wish to recognize the contribution the Naturalists have made over the years in protecting and restoring vital habitat in the K’όmoks Estuary. This includes the many years spent removing invasive species, planting native species, undertaking habitat restoration, and gathering a wealth of local information through bird counts and botany surveys. Historically this includes the work done on a Trent River Study which led to it remaining a natural area, getting the estuary and surrounding area designated as an Important Bird Area, promoting the idea of converting the Sewage Lagoon to the present day Air Park and helping to save Hollyhock Marsh. 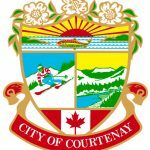 Comox Valley Nature is also recognized for its public education efforts – the nature walks you have provided and the information on your website has led to greater awareness and more intimate knowledge of plant and bird life in the Estuary. 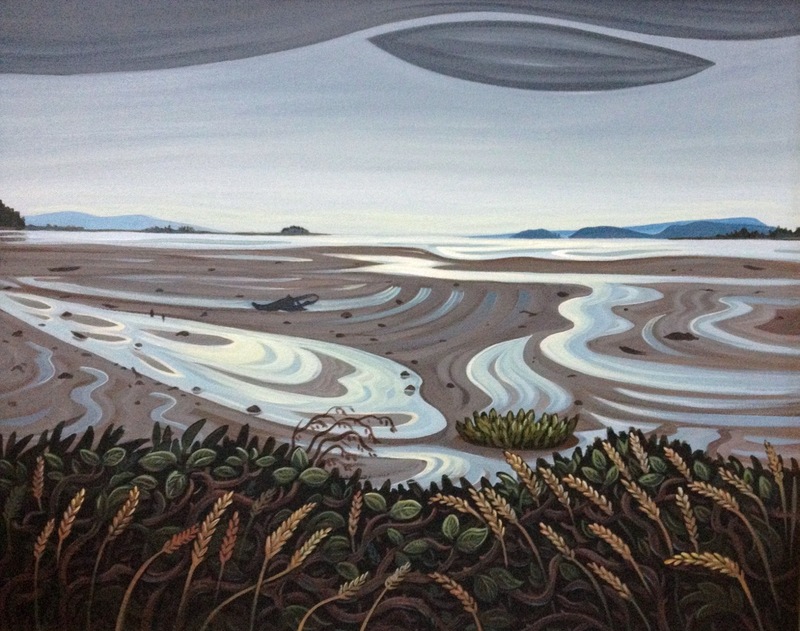 The Naturalists will be receiving the original Bev Byerley painting “View from the Courtenay Air Park #34” to display in a location of their choice for one year. 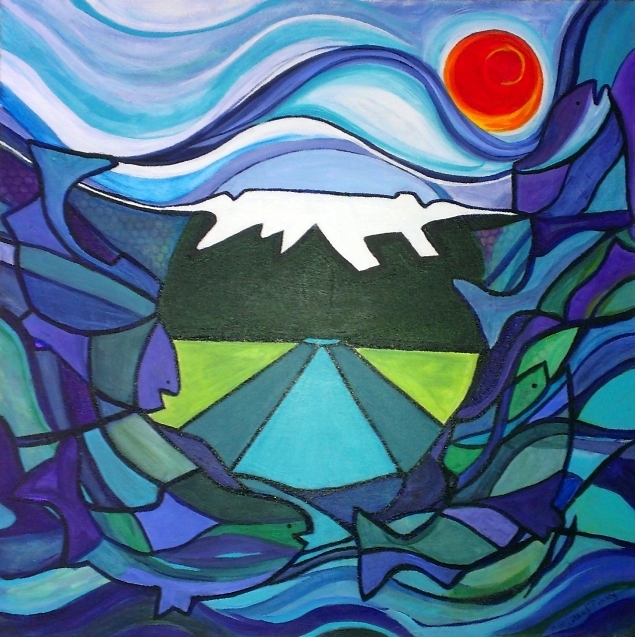 This painting was generously donated to Project Watershed in 2010 for this purpose. 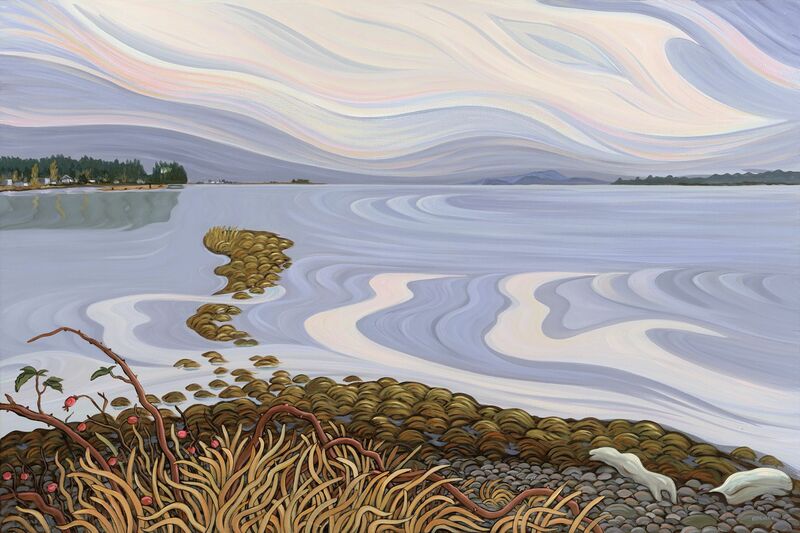 Bev Byerley herself will be at the ceremony as she will be receiving the Artist’s Choice Award for “View from the Courtenay Air Park #66”. Shirley Dickie will be receiving the People’s Choice Award for her painting “Reaching Up” and Martha Ponting will be receiving the Keeping It Living’s Choice Award for “Living Waters”. Project Watershed thanks these artists and all the other artists (~40) who contributed pieces to the competition and auction this year. 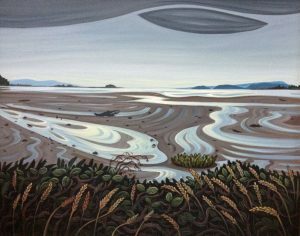 “It is a wonderful show of support for the Estuary from the Art Community” says Paul Horgen, Chair of Project Watershed. Martha Ponting has graciously donated Living Waters, as Keeping It Living’s Choice, to be used as the image for the 2014 Keeping It Living Campaign. Art cards, posters and limited edition prints of this and the previous years winners will be on display and available for purchase at the Swan Festival. 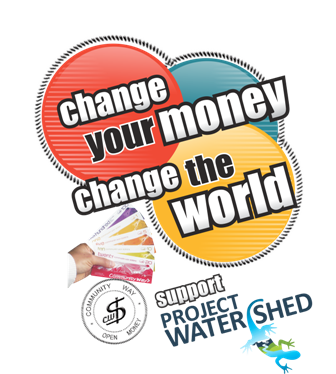 They are also available online at https://projectwatershed.ca/get-involved/donate/. Purchasing any of these items raises funds for activities such as eelgrass planting, habitat restoration and protection. If you are were looking to offset some holiday travel through the purchase of carbon credits or for an ecofriendly gift, a Keeping It Living card, poster or print will not only improve your local environment but also keep the money in the community.